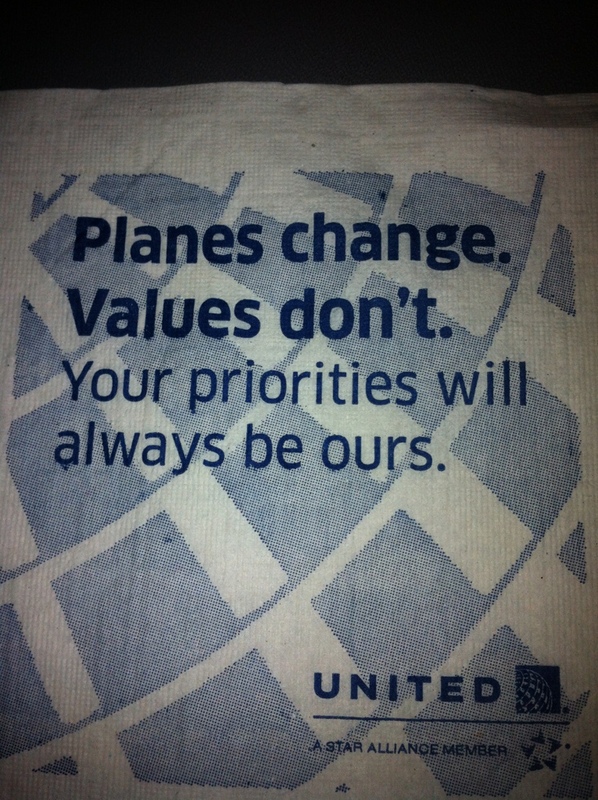 Corporate Promises and Slogans Aren’t Just Trendy Eye Catchers, They are Customer Commitments – STAY REAL United Airlines! Big advertising agencies charge companies like United millions of dollars per year to create strategic “rebranding” tactics to help soften and even trick “old brand” loyalists to know they are still the same great company but just a monster conglomerate. I flew to Idaho this weekend and witnessed (and recorded) a flight attendant completely embarrass an older, heavy set lady who had bought 2 seats to give her comfort and access to two seat belts. All of a sudden, I look up and see an United Airlines Attendant Arguing and telling her she needs to slide over. She says out load that,”She only bought the ticket based upon her United’s recommendation and to avoid embarrassment and increase her comfort. Because they didn’t scan her second ticket at the gate, they sold the other seat to the first person on the “Waiting List”. She got bumped from her purchased extra seat and they told her to call a toll free number to get a refund. It wasn’t right and United should be ashamed how they treated a double paying customer, by triple selling seats in a VERY sensitive situation. UNITED acquired Continental several years back. I still have my Continental Credit card…I bet you they would have handled it better, but Hopefully this blog (video to follow shortly) will help UNITED Customer Service to offer some better sensitivity training so they don’t offend larger paying customers who already deal with enough already.